He saw the tears, feeling concerned. He leaned forward and let his gloved thumb brush against his cheek in efforts to wipe the tear away. "If he makes you cry...is he really worth it?" His green eyes looking down to gaze at the boy. "It's not that simple. I don't live with Usagi-san just because. He's my tutor for college, my home since I can't afford one on my own and it's close to my college, and my older brother is away further in Japan," He responded, "so I don't even have a choice wether or not I live with him. He always tells me he loves me and touches me, but I can't help but wonder if I'm some kind of replacement for my brother." "Have you ever tried to ask him straight up about that? Like...if he really thought about you that way?" "I've always been too afraid to ask him. I mean, if he does feel that way, and if I found out about it, won't he still do something to keep me there with him? That's why I'm afraid. I want to at least have the freedoms that I have now...but, sometimes I wish he wouldn't just come up behind me and do what he does. Sometimes it's alright, but other times I'm really in the middle of something and it affects me." Lenalee blinked a few times. "I don't want to know," she said simply. A smirk appeared on his face, then he chuckled. "All I can say is that I can relate to him, since I'd do the same thing." He moved to ruffle Misaki's hair with his pale hand. "I'm sure he doesn't think of you as a replacement." "I guess...but I better go find him...I actually left looking for him...so, he's probably getting himself into something stupid, like crossing when the light is red," Misaki said getting up, "excuse me." He said with a bow, exiting. He had quite a thought to think about, and had to hurry up and figure out where Usagi-san was. "Hit me with the best sake you got!" He said, with a triumph-like look on his face. He seemed to be in a very happy mood. Well, mainly because he had turned in a manuscript, late of course, but it made really good sales, so he got a decent amount of yen for the job. Meaning he could spend yen without regretting it. He loved sake. He wasn't supposed to be drinking much, but of course he did so anyway. Once he got his sake he took a nice swig. 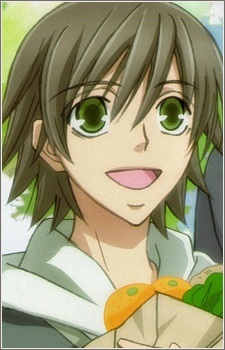 Now, as long as I don't get caught by Haruka or Youko-chan I'm fine. Once he saw the boy leave, a grin appeared on his face. "He so loves that Usagi person." He chuckled, turning his head to Lenalee. "Still want those dumplings?" Faintly he heard a "Hit me with the best sake you got!" from across from where he was sitting. He whirled around to see some young-looking guy. He had silver hair...and what he assumed to have brown eyes. He seemed quite attractive and...young. Like himself. He didn't try to talk to him though, well at least, not yet. "Ah! You're a keukegen, aren't you? You're so kawaii," He said stroking the creature, "now remember keukegen-chan, you shouldn't go around here and eat/play with other peoples hair, alright?" He said, then the creature seemed to listen and disappear. Lenalee also had a bit of a talent for clairvoyance and saw the little youkai as well. Her eyes widened a minute, then when it disappeared she decided to ask him about it. "Hey, what was that little thing? It was kinda cute." "That was a youkai known as a keukegen. A keukegen is a creature covered entirely in long hair. 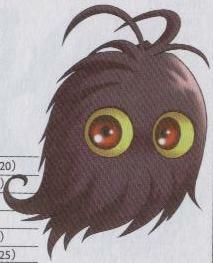 It's very rare to see, which is why it earns the nickname "The Phantom Youkai". It's name is a pun, when written with different kanji, keukegen means "an unusual thing which is rarely seen". The keukegen's favorite food is long black hair, and it tends to cause mischeif my messing up other people's hair as well as eating hair," Kantarou explained then smiled, "it's the second time I've seen a keukegen in a really long time! I think he was going to eat hair here though, so I shooed him away." Long black hair... Lenalee's hair had once fit that description... before it had been charred off by heat from friction in an Akuma fight. It was a shame. She was still growing it out again, but so far it hadn't done much. "Thanks for shooing it away. I'm the only one with black hair here, and I need all the hair I can get." She laughed lightly to cover up the sadness at having lost her long locks, then sat with Kantarou. "You seem to know a lot about Youkai." "I've been able to see youkai since I was really young, so I became a scholar in folklore." "I'm Lenalee Lee. I'm Chinese, but I sound a little British because I grew up in England. It's nice to meet you." She offered her hand for a handshake in welcome. "So you're a folklorist? That's really cool." "I can tell you've lived in England because of your body language. Naive Chinese don't shake hands," Kantarou said, but shook hers as well as gave a bow, and gave her his business card, "not really, although I do write a lot of books on folklore. Of course, I'm into folklore because of youkai. They're so kawaii." He said, his eyes lighting up at the thought of youkai. His voice was higher pitched, but it was gentle and not annoying. After listening to them for a few moments, he felt oddly out of place. "I think it's time for me to retire. I hafta go see if my buddy is okay before goin' to bed. He gets real lonely sometimes." He grinned before getting out of his seat. He stretched his limbs before looking at them. "It was real nice meetin' ya guys. I hope I see ya real soon." With that, he turned away and began to walk to the exit. You can bring anyone you want in. Open characters. Lenalee waved cheerily. "It was nice meeting you, Axel!" she said before turning back to Kantarou. "Kawaii means cute, right? I don't speak much Japanese, but I have a friend who does." She then said, "I'm also big on folklore, but it's because of my job. We investigate weird happenings searching for something called Innocence, which can be used to destroy evil homicidal monsters called Akuma." "Yes, oh sorry," Kantarou said, "I didn't even realize I switched to Japanese. It must be from living in Tokyo for so long. As for 'Akuma'. I've heard a lot of myths and rumors, along with reading up a little myself, because I'm a scholar, but I've never actually seen on in the blood before. I'd prefer not to by the sound of them. It would probably hurt my scar like crazy just to stumble upon one." "Well, they aren't really youkai like you're used to," Lenalee explained. "They're machines that have a soul as the power source. Be glad you haven't run into one. If you had, we probably wouldn't be having this conversation right now." "Hmmm, I don't know about that. You see, I have Haruka almost always by my side," Kantarou explained, "Haruka is the Oniqui Tengu, the strongest of all youkai. So, if I would ever run into a situtation like that, we would either fly away or at least keep the machine at bay. You'd be surprised how powerful Haruka can be." Lenalee shook her head. "The Akuma have poisonous bullets. Anything alive that gets shot with them crumbles into ash. Even your friend Haruka probably wouldn't make it." She decided to change the subject to something happier. "So, Kantarou-kun, where about in Japan are you from?" "Well, I'm not quite sure where I was born. My parents weren't exactly....well, I don't really want to talk about that. As a child I was raised far off in the mountains by some really famous hot springs. Then, as I got older, I moved to Tokyo where I live right now. Being a writer makes great money," Kantarou explained, "so I live not in the major part of the city, but a little in the more middle class area, although my house is pretty big." "Tokyo sounds like a great place," Lenalee said, smiling. "I'd love to go there one day, even if it was for my job as an exorcist. Any sites you suggest I visit if I go?" "To be honest, I really wouldn't know. You see I'm always working, whether it's exorcism, writing, and I tend to get really sick very often. A few days ago I came down with a really bad fever, but I'm feeling fine now," Kantarou said, "I'm lucky to have Youko-Chan to take care of me back at home."